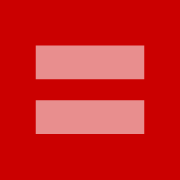 HRC equal sign: When should you change your Facebook avatar back? You Changed Your Facebook Profile to Support Civil Rights. Should You Change It Back? How long should you keep this symbol on your Facebook profile? Image via Human Rights Campaign. On March 26, an estimated 2.7 million people changed their Facebook profile to the Human Rights Campaign’s red equal sign in support of gay marriage (or some variation thereof). Now that some time has passed, murmurs of a new conversation are emerging. Like, uh, how long do we have to keep these equal signs up? This is a serious question. I put a lot of thought into whether I should change my profile pic. Not as a matter of equality, of course. I’m as gay-friendly as the day is long. But there’s just always been something icky about running with the herd. What would it say about the hardened, realist perspective I try to keep on the world if changing my Facebook picture was my idea of activism? What would people think? I eventually decided to red-up. Did SCOTUS flinch the moment I clicked over? Hardly. Did my friends, family, and colleagues now know definitively that while I may not have recently shared a few beers with them, or kicked stones down an empty street in the middle of the night talking about infinity and the universe, I still think they’re human beings and should be able to love whomever they choose with reckless abandon? Well, sure. But now that the message has been sent, how long does a guy have to stay red to not look like a bandwagoneer? Or worse, a jerk? Frankly, there’s very little precedent for such occasions. Nothing has ever galvanized Facebook with so much solidarity and oneness of message. You’re probably thinking, “What about 9/11?” But oh, child, Facebook did not yet exist. Many changed their photos to support Kony 2012 or tinged their Twitter avatars green in 2009 to support protesters in Iran—but taking those images down likely did not affect people you knew. Which means with the HRC campaign, most of us are just winging it. A lot of people changed their images back immediately after the two days of oral argument at the Supreme Court. Some friends (and friends of friends) I asked about this told me they felt “the point had been made.” Others believed they either had to change it then or stick it out indefinitely until a decision was made. An honest few told me they changed their profile when they had something new to show—be it a posing pet or prom dress—same as they might have with any other Facebook image. Personally, I don’t think there’s any cowardice or flakiness in taking it down when you’re ready. Nor do I believe there was any silliness in putting it up. Call it slacktivism. Call it a meaningless gesture. But even small acts make ripples—like standing up to a bully or asking a friend not to use a gay slur. Whether you have already changed it or plan on keeping it indefinitely, we’d all do well to remember this moment. Every rinky-dink organization and advertising agency will try to re-create this campaign for the next five years, souring us all in the process. But for a hot second, the whole social-media-solidarity-thing was pretty cool. Did you change your Facebook avatar? If so, how long did you—or will you—keep the equal sign up? Let us know in the comments.